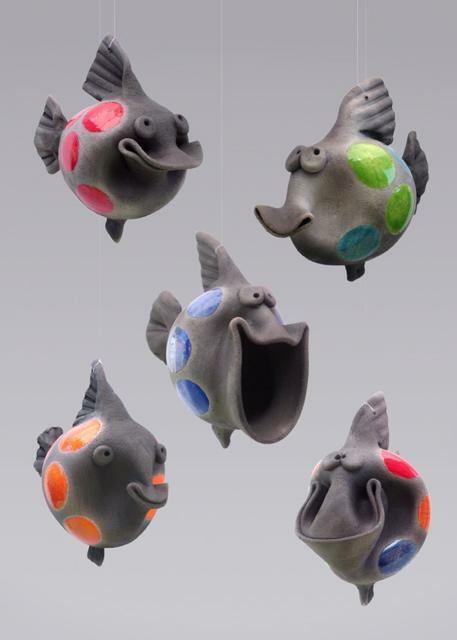 Nina came to Oregon from Sweden and she loves to create funny personalities and characters in the pottery fish. 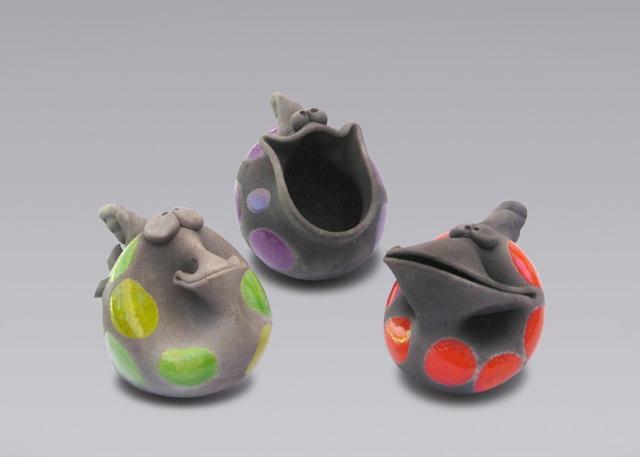 They are hand thrown on a pottery wheel and Raku fired. 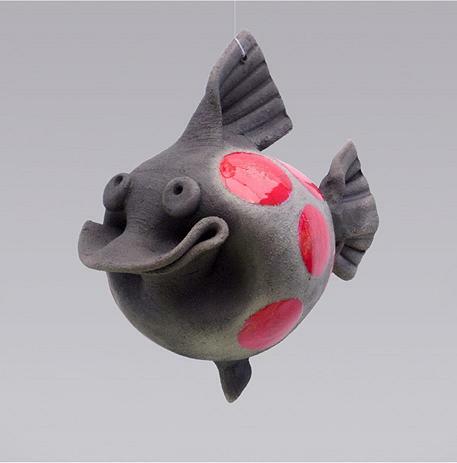 Because of the opportunity for variation in Raku pottery, each personally signed ceramic fish ornament is unique. You can find Nina’s fish in select galleries across the US.